Let me tell you what Long boarding is.its one of the greatest smooth feelings you'll feel on land like snowboarding on smooth snow. 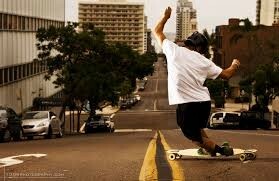 Long boarding is a great hobby to have.Leaving you with stress relief and a great work out. to great things put into one.People will say skate boarding is better than long boarding well it depends on you do you like doing tricks or Mob . 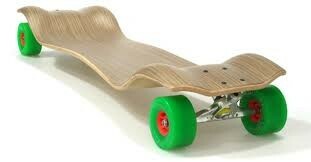 long boards are way faster. Long boarding is fast,fun,and thrilling.do you like any of that?if you do go with it.I have had fun speeding down hills and have crashed hard to but that's what makes it thrilling like a surfboard no straps for the feet but fun and touching.With a bicycle you have so much control that mite sound great but gets boring after awhile because it doesn't give the bond that long boarding gives.The fact is I fall and get back up after and it was so fun leading up to that fall I hopped right back on.See I'm not here to get you to do something you don't think your going to like but if you try something else try it out to. Long boarding takes stress away because of the way it feels being vary smooth and relaxing and the fact that fun will fill in some of that stress space. 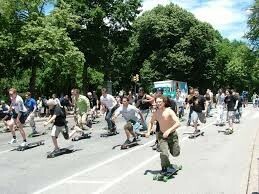 Well I have had depression in the past and from my experience long boarding help with all that stress involved. If your having a bad day instead of siting there and pondering on it and ether turning in to godZillah or just a sad pile of goodness long board and get it off your mined. Now as you see the parts I have told you hopefully your thinking of trying it if so pleas do so it’ll help. Long boarding is a great form of exercise and will keep you in shape also getting you stronger lags do to pushing movement. Ill tells you that I run faster do to the exercise of my lags and I have better endurance let me run longer to. Well hear I go if you wont something that’s fun to learn and give exercise this would be one hobby for you and also its good transpiration. I hope you are interested if not I'll go over more for you. 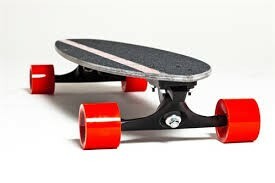 It is costly, a good board not the best but will be a great start is 130$ know the great boards cost 180$ up to 400$ over that you got yourself a amazing bored.